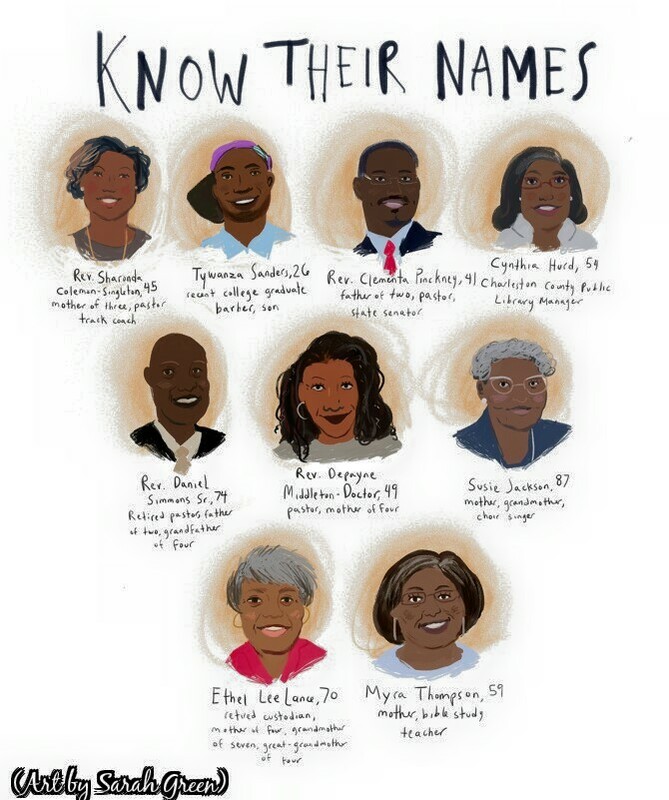 Today I wanted to do a special Sunday spotlight in memory of the people who lost their lives in the Emanuel AME Church shooting that took place in Charleston, S.C. this past Wednesday, June 17th, 2015. In past spotlights, people have talked about balancing or attempting to reconcile their religious beliefs with their political views and personal life philosophies. As I’ve read about Clementa Pinckney, Cynthia Hurd, Sharonda Coleman-Singleton, Tywanza Sanders, Myra Thompson, Ethel Lee Lance, Susie Jackson, Daniel L. Simmons, and Depayne Middleton Doctor, I’m reminded that it’s possible to balance faith, community involvement, and activism. In a time of sadness and mourning, the examples of the lives they lived gives me hope for the future, and today I wanted to remember and honor them.